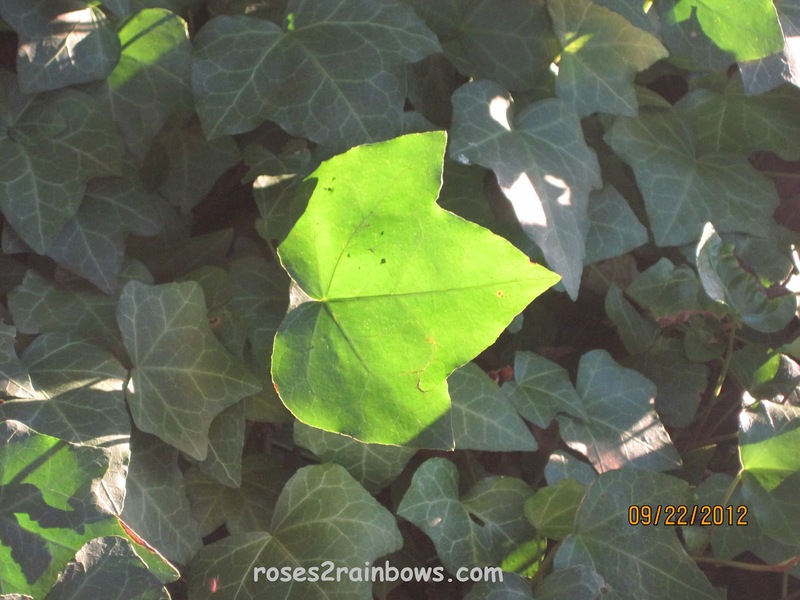 The late afternoon sun perfectly illuminated this ivy leaf. In thinking about this picture and the story it could tell, I remembered this little ditty from my childhood. Mairzy doats and dozy doats and liddle lamzy divey. A kiddley divey too, wouldn't you? And that prompted me to look deeper into this silly song. It was written back in 1943 by Milton Drake, Al Hoffman and Jerry Livingston, based on this English nursery rhyme. It seems that Drake's daughter came home singing "Cowzy tweet and sowzy tweet and liddle sharksy doisters." Which translates to "cows eat wheat and sows eat wheat and little sharks eat oysters". This gave Drake the idea to write a silly song. However, at that time no one wanted to publish a silly song. Finally he pitched it to his friend Al Trace, who liked it and performed it with his band the Silly Symphonists. After this, it was a huge hit for Merry Macs in this 1944 recording. At some point I did a post on songs that people have notoriously not understood the words and I used that one as an example. Funny how many people think it's mairzy doats. I can honestly say I had no idea what the real lyrics to that song were. I didn't even know it was a song - I thought it was a nursery rhyme! And that photo is gorgeous, btw. Hi Linda .. well done on finding out the lyrics and Youtube tune ... I knew it - but am certain I'd have thought it was spelt otherways!! Cheryl- I knew it was a nursery rhyme, but I did not know that it was a real song. There are a lot of versions of it out there. Nicky- Same here! I love to take pictures in the late afternoon. The sun does beautiful things to the leaves, and this one particularly struck me. Babs- All I ever got from it as a kid was the jumbled up, run together version, but I thought it was catchy. Hilary- Whether song or rhyme, it's cute.